Just like the nuns who ran the Catholic school I attended, Google remembers everything. By the 6th grade, I was a model student; I earned good grades, played sports, and was in several clubs. But do you think those accomplishments erased my 3rd grade shenanigans from their memories? Nope, those crafty nuns don’t forget… anything. And when it comes to your company’s site, neither does Google. Haven’t heard of link velocity? It’s ok, not many of us have. Link velocity refers to the rate at which your site adds new in-bound links. Easy now, we’re not saying that high velocity is boss here. On the contrary, exponential consistency is king. Maintaining a natural pace in your link building efforts is what Google rewards. Inbound linking must to appear natural, and to appear natural, growth must be exponential. We know that popularity increases exponentially. If a site has 10 new inbound links the first day, it makes sense that they have 100 on the second day, 1000 on the third day and so on. If, however, a site goes from 10 links to 50,000 overnight, Google is most definitely going to raise an eyebrow (or two). Like my adored catholic school teachers of yore, Google is not opposed to corporeal punishment. When they notice this type of unnatural growth, they impose a “Google Slap,” which lowers your SERP in increments of -30, -60, or -90 places. In the most extreme cases, Google has been known to remove websites from the search results entirely. This isn’t as rare as you might think. According to Matt Cutts, Google receives about 5,000 reconsideration requests per day. Yikes! The implication here is that new inbound links should be added at a natural rate that does not raise any Google red flags. Content, like links should be added at a steady pace, growing exponentially over time. It makes sense that your company added 3 pages to your site yesterday, but it seems pretty unnatural that 300 pages were added overnight. 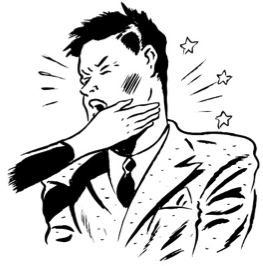 Conversely, removing massive amounts of content can result in a “slap” as well. What’s more, Google places a high value on an attribute called “site weight” or “site depth.” Simply said, the more quality content you’ve got for your audience to consume, the better. * Caution – Sites that binge on content by using content spinners like Article Builder or The Best Spinner, which automatically generate articles on given topics, will get slapped! A content spinner may sound like a magic bullet solution, but they typically do more harm than good. The content these programs create is unintelligible at best and easily detected as “thin content”. By following a few simple guidelines, you can be sure everything you do will push you one step closer to SERP royalty. Make sure your link and content building is natural. Ultimately, Google operates as a democracy where users access high quality sites that build authentic popularity through highly related link building and quality content. Google’s punitive measures have been put in place to ensure we don’t have to wade through hundreds of spammy sites to find what we really want. They do the dirty work for us. Use authentic links and content to show Google that your site is legit and relevant. 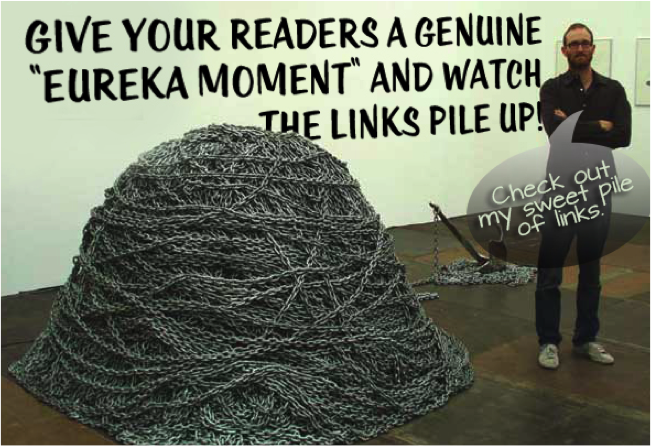 Not all content and links are considered equal. More value is placed on links that originate from reputable and related sites. For example, my former teacher (the nun) runs a blog dedicated to St. Anthony, that has 30 readers. If she links to my site, that doesn’t get me much traction. Her site has nothing to do with mine, and anyway, nobody reads it. Similarly, bad content won’t get you ranked. 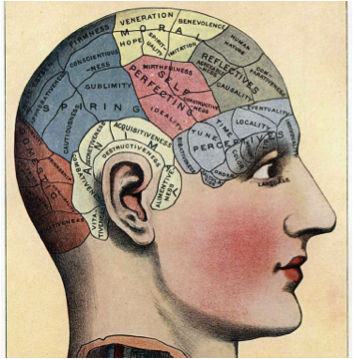 Set your content apart by being original, insightful, entertaining and useful. Be sure to give actionable steps that readers can move on right away. Use a writing style that is engaging, entertaining, and (our fav) controversial. Google knows the difference between man-made content and the drivel spun out by content spinners. Imagine Google as a big mother spider sending her millions of babies on reconnaissance missions to the far-reaching corners of the web. Their job is to bring back intel on the millions of sites they crawl. Mama Spider sorts through this information and rates it. 2.5 quintillion bytes of data are uploaded to the web every day. This fact alone makes it increasingly hard for Google’s spiders to reach every corner of the web. Just because you’ve added new links or content won’t mean Google knows about it. To get your additions seen, you have to get them indexed. There are many ways to do this: social networking, social bookmarking, and creating links to your links are just a few. Links are the spiders’ highway. In order for them to find you, you have to build on-ramps and signs that help them travel to your site. No one sees you back there in your log cabin down an unmarked dirt road, no matter what kind of great (or sketchy) stuff you’re doing down there. 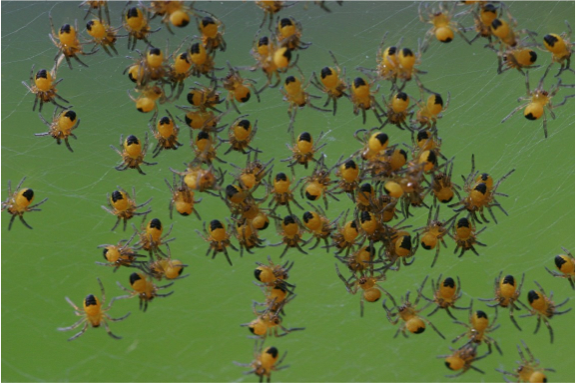 *Pro – Tip Spider Hives The info-seeking Google spiders live in hives on super active sites. They know that internet users flock to certain sites in droves and give a high value to anything mentioned on that site. One way to raise your SERP is to put links on these hive sites. One great place you can post to ensure indexing is the Craigslist Discussion Forum in your city. Posting here helps the spiders find you and recognize your links. You can depend on the fact that they’re always watching and tracking your site’s activity and will use that activity to determine your SERPs. Add authentic, quality, natural content and links on a consistent basis, Google will give you a gold star, and you get to sit back and watch your SERP rise and your conversion rates soar.